The Leisure Experience combines a professional football club tour with an educational element to further enhance your visit. This is a fantastic package for players, coaches, parents and families a like to sample the experience of travelling, training and playing like a professional but also gain an insight into the administration of a world famous sporting institution and experience the wealth of historical and cultural sites across Scotland. Accommodation and travel arrangements can be made by the Club to take away the stress and organisation of the trip, leaving you and your group to look forward to your experience. 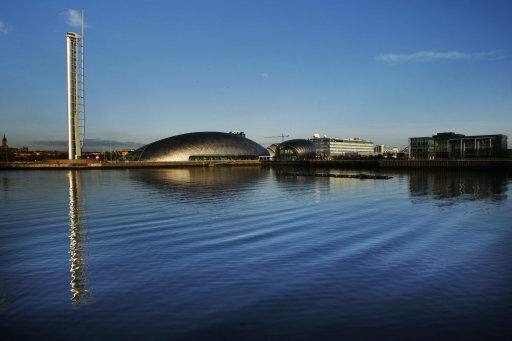 One of Scotland’s must-see visitor attractions, the Glasgow Science Centre hosts a wide variety of activities to keep visitors of all ages entertained for hours. There are two acres of interactive exhibits, workshops, shows, activities, a planetarium and an IMAX cinema. 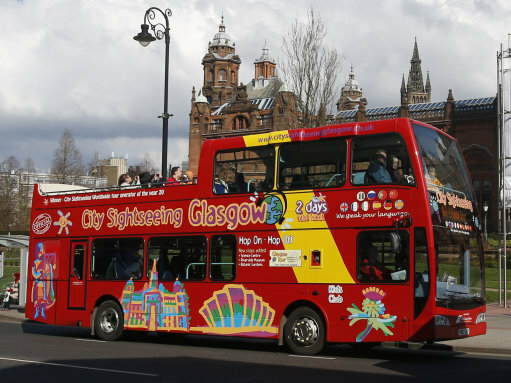 The City Sightseeing Glasgow tour offers visitors a brilliant way to discover the city and all its wonderful history and culture. Choose between a knowledgeable live guide or a recorded commentary and sit back and enjoy the ride. The tour takes approximately 1 hour and 50 minutes, with 28 stops along the route. 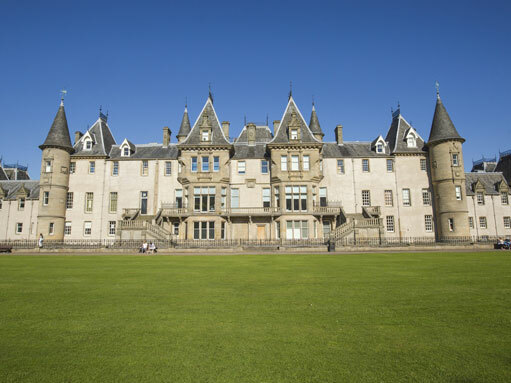 A ticket, valid for either 1 day or 2 consecutive days, allows you to hop-on and hop-off to visit one of Glasgow’s free museums or art galleries, stop for lunch, a bit of shopping or simply a walk in one of the city’s many parks. 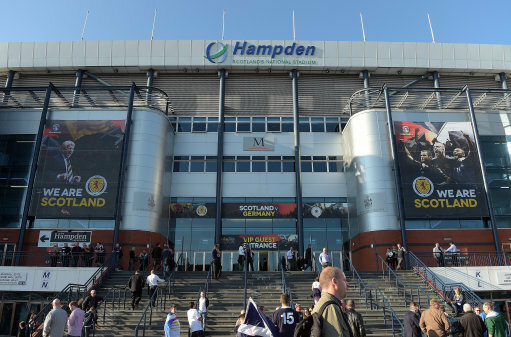 Hampden Park is the home of the Scottish Football Association and the Scottish national football team. The facilities enjoy UEFA’s coveted five star status and the in house museum provides a wonderful insight for fans of the great game. There are thousands of objects on display as well as exclusive film footage, tracing the history of football in Scotland and the icons that have helped shape it. Relive former glories, including Archie Gemmill’s incredible goal versus Holland, consistently voted one of the top ten World Cup goals of all time. 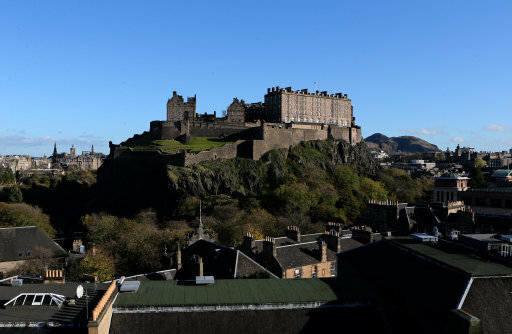 Edinburgh Castle is a mighty fortress, the defender of the nation and home of the famous Royal Edinburgh Military Tattoo. 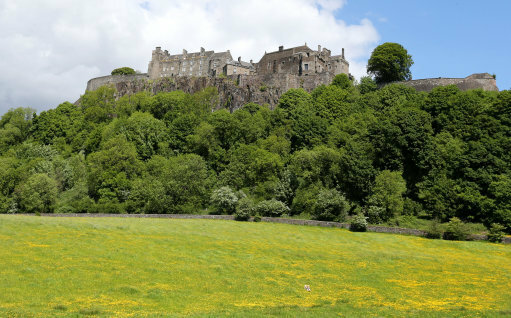 The stronghold is the most besieged place in Britain, providing sanctuary and security for many of Scotland’s Kings and Queens. Today, countless treasures are protected by the castle walls. Marvel at the nation’s crown jewels, smell the gunpowder after the one o’clock Gun fires and hear the castle’s great story on a guided tour. The Royal YachtBritannia was home to Her Majesty The Queen and the Royal Family for over 40 years, sailing over 1,000,000 miles around the world. Discover what life was like on board Her Majesty’s floating Royal residence. 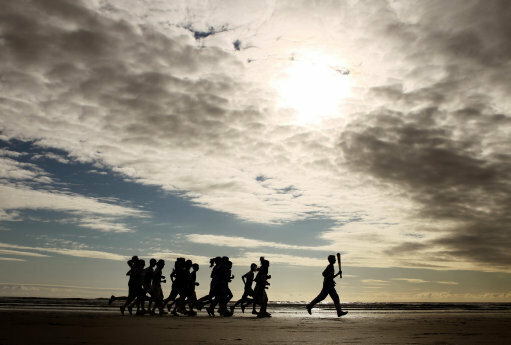 You can follow in the footsteps of world leaders such as Sir Winston Churchill, Nelson Mandela and Rajiv Gandhi. 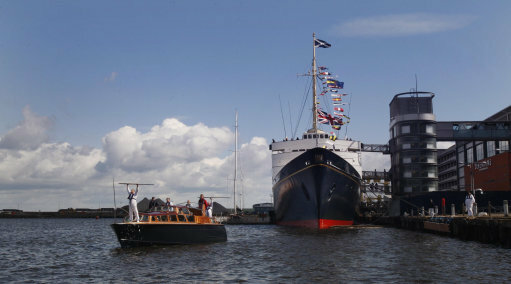 Now The Royal YachtBritannia is a five-star visitor attraction and a must see place to visit in Edinburgh. This famous ship has been named in Trip Advisors UK Top Ten for 3 years. The Edinburgh Dungeon is a unique visitor attraction that brings together an amazing cast of theatrical actors, special effects, stages, scenes and rides in a truly unique and exciting walkthrough experience that you see, hear, touch, smell and feel. Nobody tells stories like they do: exciting, scary and funny. With a full cast of brilliant actors, authentic sets, special effects and two awesome rides, Edinburgh Dungeons promises to take you on a unique thrill-filled adventure through 1000 years of Scotland’s murky past. Over 500 years of golfing history are displayed in the British Golf Museum. 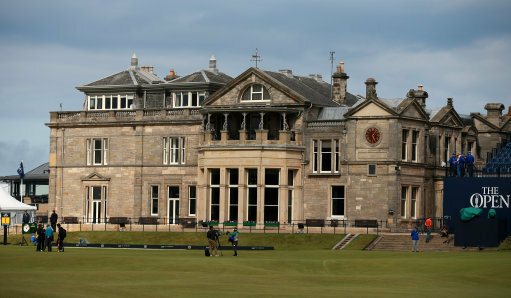 Come and experience the history of golf in a unique location, just yards from the world famous Old Course. The British Golf Museum is a 5-star Museum at the heart of the home of golf. Visitors are now welcomed by a remodelled reception, shop and entrance galleries and our spectacular 80 seat café on the roof. The gift shop sells Official Open Merchandise year round and a great selection of gifts from Scottish designers as well as souvenirs of your time in St Andrews. The Café at the Museum offers local produce in a superb setting, with unrivalled views of the 1st tee of the famous Old Course. Afternoon Teas and Sunday Roasts are a must try and the Cafe was named one of Britain’s Top 20 Best Summer Cafes by the Times. Famous for the opening scenes of the film Chariots of Fire, West Sands extends for almost 2 miles of uninterrupted sand backed by dunes and the world-renowned golf course. West Sands is about a 15-minute walk from the town centre. It is very popular for walking and running on as well as for swimming. Shops and restaurants are close by and there are plenty of wet weather alternatives, including the British Golf Museum and the nearby castle and cathedral. 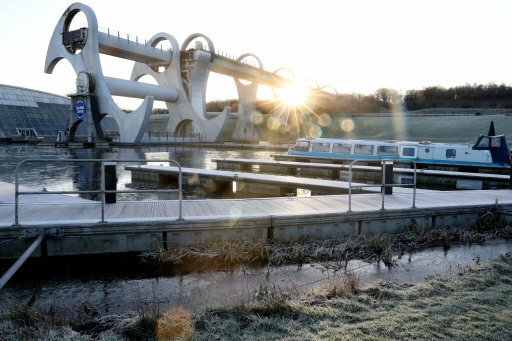 The Falkirk Wheel is a magnificent, mechanical marvel which has been constructed using 21st century, state-of-the-art engineering. It is already being recognised as an iconic landmark worthy of Scotland’s traditional engineering expertise. The Kelpies, designed by Scottish sculptor Andy Scott, and they’re the largest pair of equine sculptures in the world. 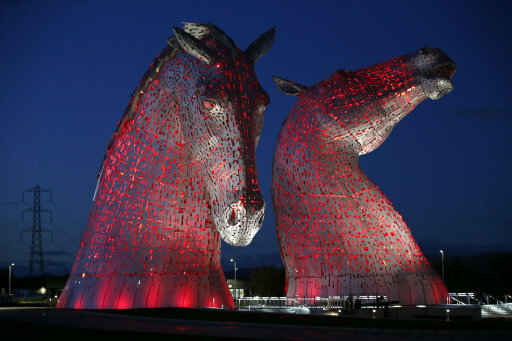 The Kelpies are a feat of engineering, each made with 300 tonnes of structural steel, and are a monumental tribute to the horsepower heritage that was vital to the early industries of central Scotland. The Helix is an exciting new parkland situated next to the Kelpies providing activities such as cycling, walking, watersports and much more. There are currently 500km of connected cycle paths which provide the ideal way to explore the parkland and surrounding area. Callendar House dates from the 14th century. It is set in the nationally important historic designed landscape of Callendar Park, which also contains a section of the Antonine Wall World Heritage Site. It’s also home to three par golf course, set over nine holes, a large children’s play park, and a variety of seasonal outdoor activities. 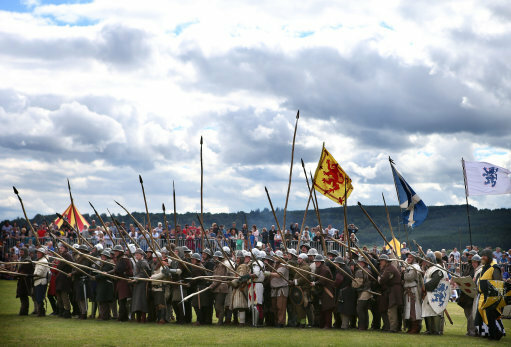 The new Battle of Bannockburn experience puts you right at the heart of the action. Using cutting edge 3D technology you can learn about this crucial event in Scottish history and experience medieval combat like never before. You’ll even be able to take command of the knights and soldiers who fought in 1314, pitting your wits against fellow visitors on the virtual battlefield. The experience is as authentic as it is breath-taking. The landscaping and parkland around the centre allow visitors to appreciate the battleground and restored commemorative monuments, including an iconic statue of Robert the Bruce cast in shimmering bronze. It’s a place for quiet contemplation or to catch your breath from the excitement inside. So take your place among fearless medieval warriors and discover how the tactics of two opposing kings – Robert the Bruce and Edward II – changed the path of Scotland’s history, forever. Today you can meet the costumed characters in the roles of bodyguards, court officials, maids of honour and servants who will welcome you into 16th-century life. Families can have fun in the palace vaults where children can try out activities such as dressing in period costume and playing medieval instruments. Don’t miss a guided tour with knowledgeable staff who will bring the castle’s infamous characters and history to life in great detail. 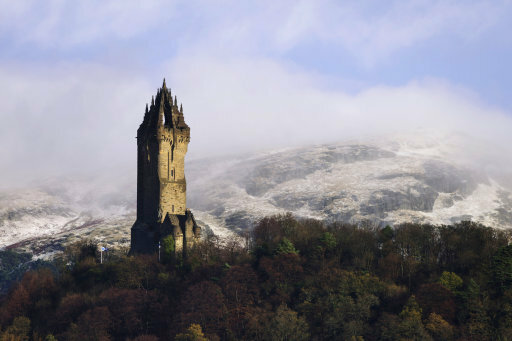 The National Wallace Monument commemorates the Scottish patriot and martyr who triumphed over King Edward’s army at The Battle of Stirling Bridge. The Hall of Heroes tells the story of how Wallace has been acclaimed as Scotland’s first National Hero. The centrepiece in this gallery is the Wallace Sword, which struck fear into the hearts of Wallace’s enemies. Surrounding the sword are the busts of Scottish heroes from Robert the Bruce to Robert Burns, each telling a story about their place in Scotland’s history. 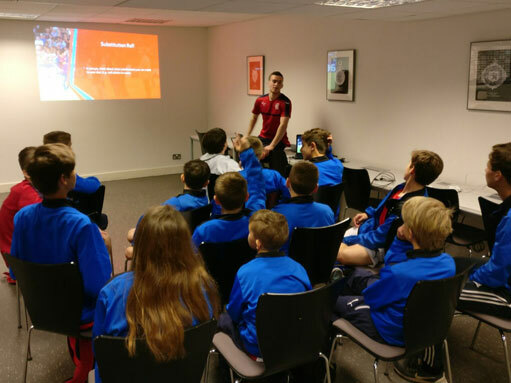 Learn the importance of a balanced and healthy diet with a presentation from nutritional specialists from the Club’s dedicated sports science department. Ambitions to be a journalist? 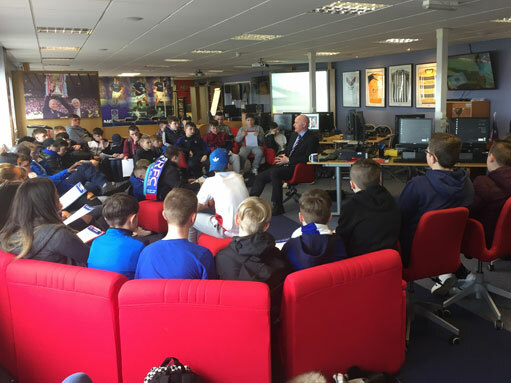 Partake in the Club’s journalism course and put your learnings into practice as you host a question and answer session with a former Rangers player. Put your numerical skills to the test pitch-side by learning how to measure and calculate the dimensions of the Ibrox turf. Gain valuable insight into the behind the scenes running of a sporting institution with a presentation from the Club’s administrative professionals including but not limited to the events, operations, marketing and commercial departments.